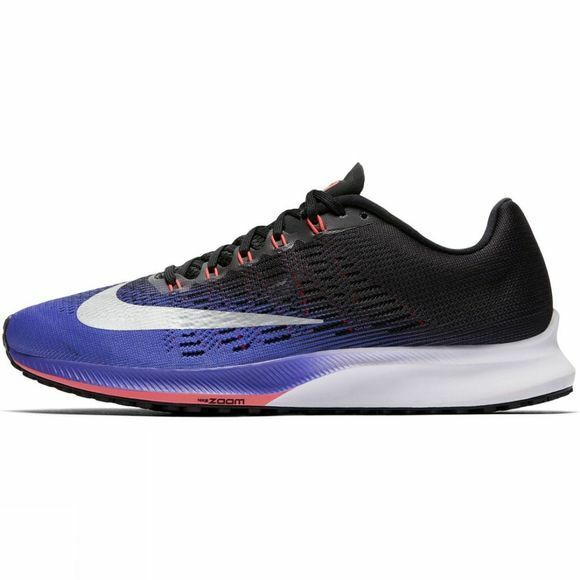 With a thin mesh upper and a Zoom Air unit in the forefoot, Men's Nike Air Zoom Elite 9 Running Shoe delivers the ultimate in lightweight response for a smooth ride no matter what your training schedule demands. 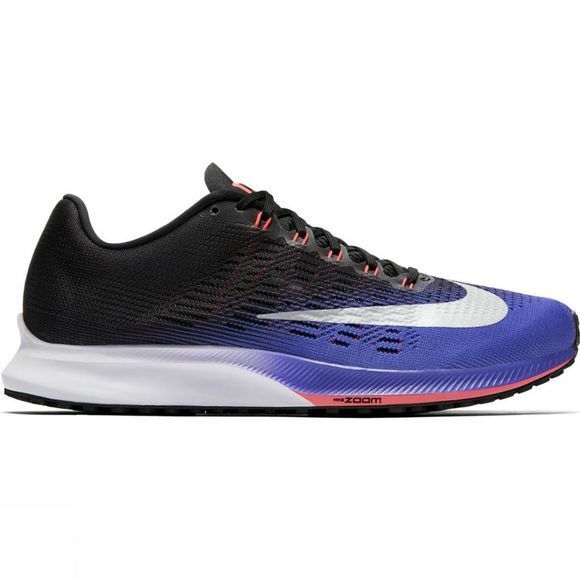 Forefoot Zoom Air unit delivers highly responsive cushioning. Seamless mesh upper with Flywire cables provides comfortable support. Ultra-thin outsole keeps weight low and traction high. Flywire technology wraps the midfoot and arch for a dynamic, glove-like fit. It runs through the lace loops to help reduce pressure on the top ridge of the foot. Mesh inner sleeve wraps the foot for a plush, comfortable fit. Notches at the tongue provide easy on and off. Asymmetrical lacing is offset to the medial side of the foot to help relieve lace pressure. Cushlon ST midsole foam for lightweight, responsive cushioning. Soft blown rubber across the forefoot offers added cushioning and improved flexibility.